3 Commando Brigade | View topic - Twitter Update! Just over six months have past and we have broken the next 100! Despite my extremely reduced presence (re: whoisthisguyamiright? 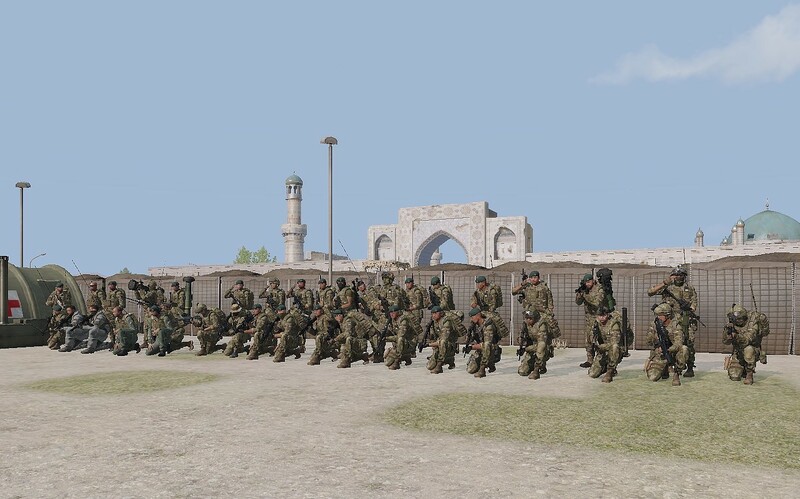 ), we have continued to grow on social media, attracting new members to the unit, and I don't think we can ignore the excellent work the Public Server Team, and more importantly, all the active members on our public server have been doing giving the unit the great public face it has! 3CB prides itself on Realism, Tactics and Fun, and its you guys that make that happen, displaying that ethos to the new players coming to our public server and Open Events. Your patience, enthusiasm, and maturity makes running the unit smooth and rewarding for the officers, and what makes this such a great place to play for everyone! So while I usually give a general tribute to everybody, here's a special shout-out to all our boots on the ground who are the lifeblood of the unit! If in doubt, form up in Tactical Blob!